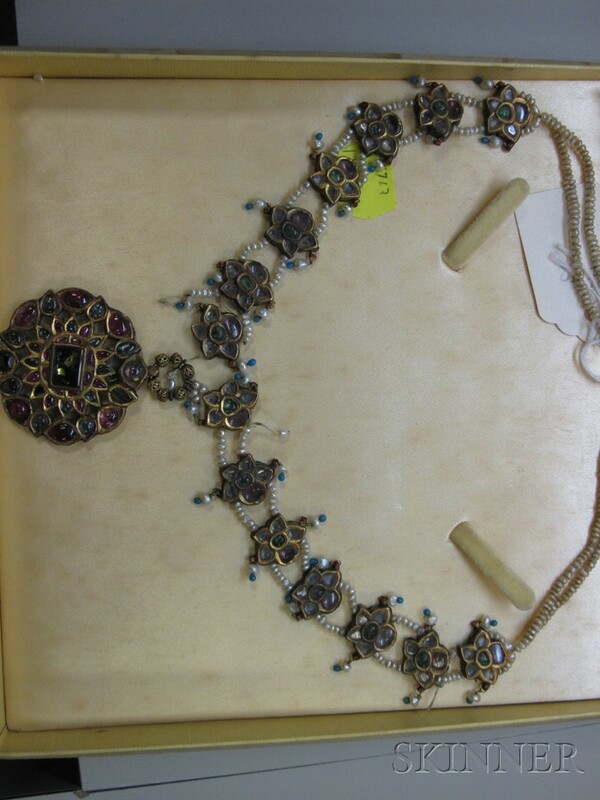 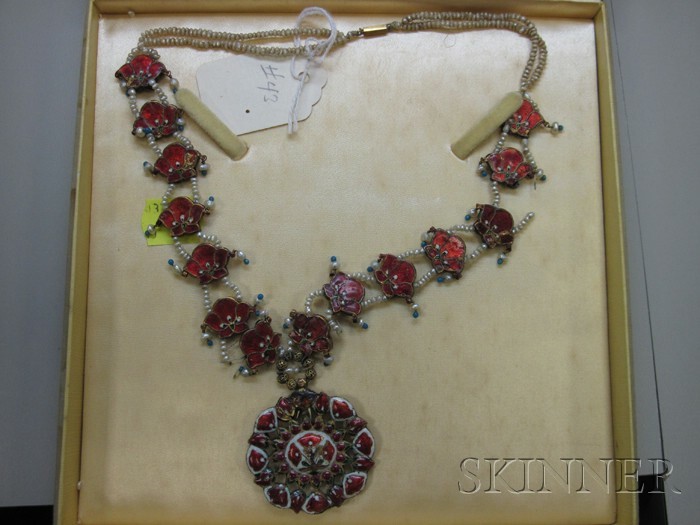 Antique 22kt Gold, Enamel, and Gem-set Necklace, India, set with rubies, emeralds, and diamonds, and with seed pearls, reverse with polychrome enamel, in a Georg Jensen Inc., New York, box, (damage). 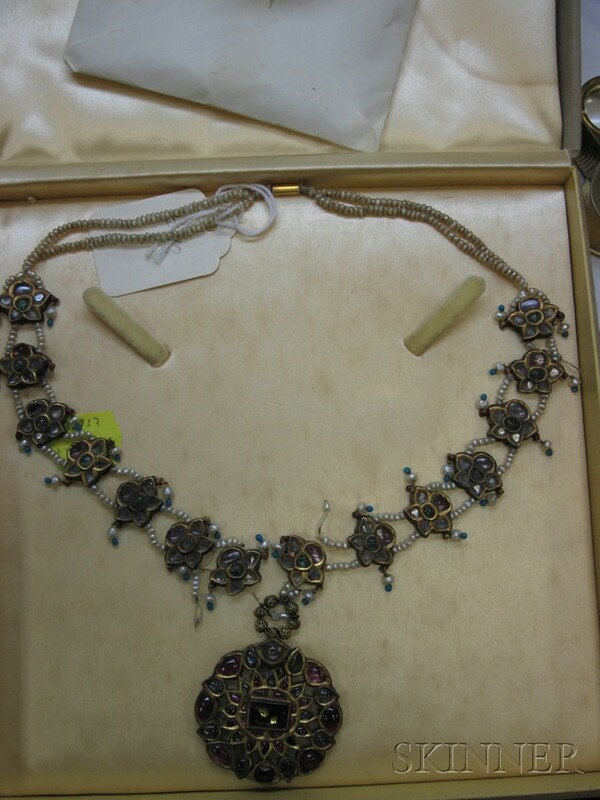 Note: Accompanied by a letter from Georg Jensen Inc. dated January 3, 1958, dating and describing the necklace, and stating that it came from the estate of the dowager Maharanee of Kurapatla. 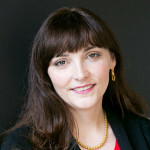 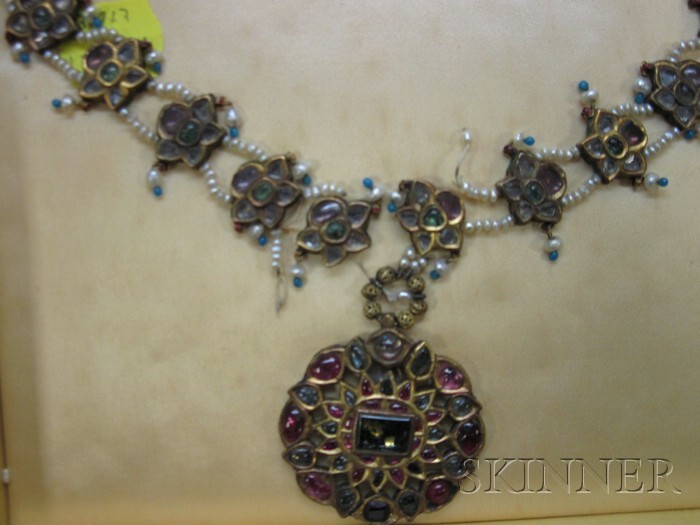 Stones are foil-backed, center stone with corrosion and fading to foil, overall fading to foil, areas of enamel loss to several links and pendant, discoloration to pearls, needs restringing, some extra pearls.